The weather in Las Vegas lends itself not only to swimming and sunbathing, but also to motorcycle riding. 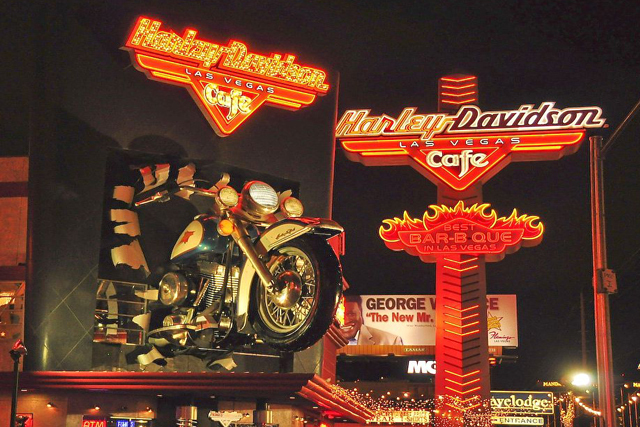 And for those who live to ride, there are places in Las Vegas from which you can rent a Harley Davidson for your stay. 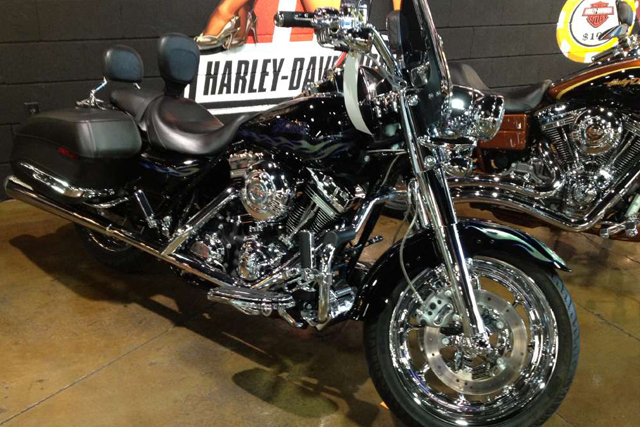 Go ahead and cruise the Las Vegas Strip in unique style on a Harley, or take in the scenery at Mt. Charleston, Red Rock Canyon, Hoover Dam, Zion National Park or even Death Valley. The beauty of a rented Harley is in the places it can take you. Of course, if you plan on renting a Harley, you have to meet a few requirements. The process is very similar to car rental. Most companies will require that renters be 25 years of age or older. And it goes without saying that you will need a valid motorcycle operator’s license—as well as all the skills necessary for handling heavyweight motorcycles. One key difference between car and motorcycle rental is that in order to rent a motorcycle you will have to pay a large deposit—usually around $1,000. If you don’t quite feel up to renting a Harley, you can always rent a smaller scooter for a similar experience, and probably a smaller price tag. It’s all about what you want to do. Despite the hefty price tag, riding a Harley Davidson in the Southwest allows you to experience the desert as it was meant to be. Please check the black out dates during your reservation.